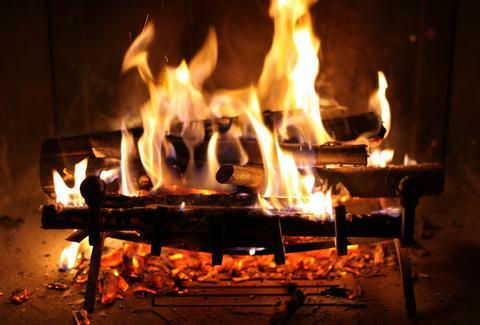 Fireplaces are basically good for two things: 1) providing a convenient place for Santa to, let's face it, break in, and 2) drinking next to in a pub/bar as soon as London begins to experience a little freezing weather. Helping you out with the latter, here are the best spots in town to warm your cockles with some liquid refreshments. Wood panels, huge armchairs, and meant to share punches, the Punch Room is a perfect place to hit when you’re rolling with a small crew and feel like splashing some serious cash. The seats by the fireplace are where it’s at, so bee line for those pronto. With exposed lightbulbs, raw and repurposed wood, and white subway tiles, this is an oasis away from some of the other establishments in the area. Right by the common, they keep to the local and biodynamic with a solid wine list, seasonal menu, and a heat-producing fireplace. 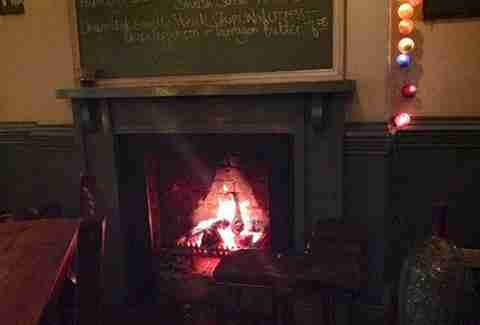 Being one of the capital's oldest pubs, it’s no surprise this place boasts a fireplace -- people have been drinking here long before central heating was a thing. With a maze of tunnels and small nooks, you can hibernate down here till spring comes. Sitting somewhere on the edge of classic boozer and hipster cool, these guys rock a good selection of local and international craft brews, plus quirky furniture, and board games. Snag a table by the fireplace and bust out their many board games. This place definitely crosses over into gastropub territory complete with truffles, brains, and cote de boeuf. It's also got a couple solid fireplaces too though! If you’re looking for a proper neighbourhood pub that still has an eye on current times, this is it. With a surprisingly curated playlist of indie and rock, a menu of salivation-worthy dishes, and a fireplace kicking out heat like it’s going out of fashion, it’s no wonder it has such a core group of regulars. Decadent decor is the name of the game here, so naturally, it would have a pretty amazing fireplace. 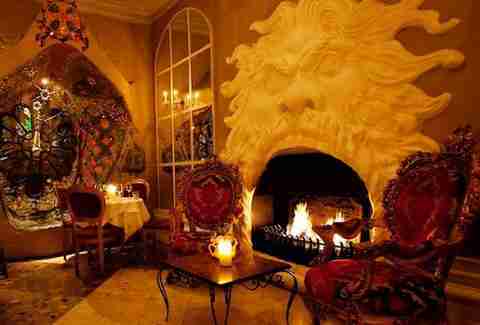 And by amazing we mean, one of its fireplaces (yes, plural) is shaped like a giant mouth. High ceilings, modern chandeliers, crazy artwork by Gerald Scarfe, overstuffed furniture, and a drink list that would intimidate a lesser person, Scarfes Bar is where it’s at. Get pulled into this massive, yet still cozy room, claim a spot by the huge fireplace, and feel like royalty. You know what's better then a free jukebox loaded with great music? 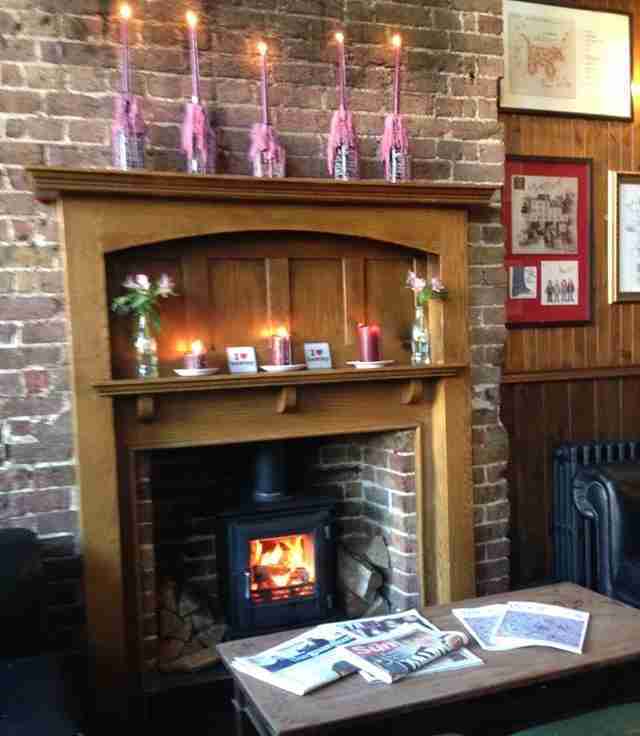 A free jukebox with great music, PYTs, and a roaring fire to sit and observe from. It's not the quietest spot in the 'hood, but if you wanted tranquility -- stay at home. 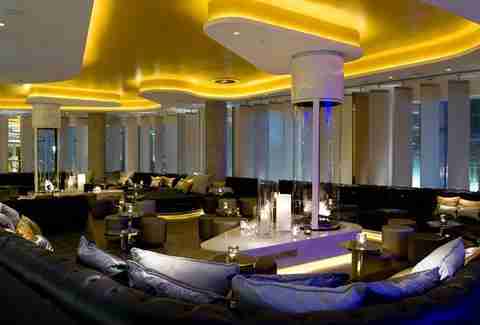 If you want to feel like you’ve stepped into some slightly futuristic sci-fi film, head to the Lounge at the W by Leicester Square. Once you’ve battled the hoards of tourists outside, you can chill out with a cocktail next to one of their fire columns, safely enclosed within pillars of glass, dotted around the space. As you might expect, the oldest restaurant in London is fairly opulent: dark wood, red leather and velvet, candles -- it’s a proper old-school man cave, 1798-style. Their cocktail bar upstairs oozes that same OTT comfortability before even throwing in a fireplace by the bar. You might never leave. 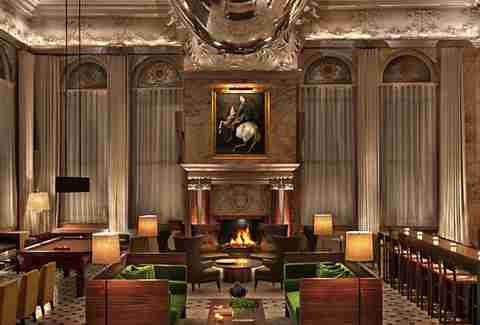 Glamour, style, and impeccable service is what you can expect from The Coburg Bar. With high ceilings and massive wingback chairs, the fireplace does its thing perfectly. Grab a perfectly made cocktail and settle in. To simply call these guys a gastropub is to undersell how awesome they are, but it’s a good start. They’ve got two coal-burning fireplaces and a big wood-burning one in the games room, so battle it out for a chesterfield. This long-standing local for for the likes of Amy Winehouse, Mark Ronson, and Pete Doherty is a classic watering hole just by the stables in Camden. The young and beautiful gather here to knock back cheap(ish) drinks and thaw out fireside to a good soundtrack and live acts. These guys don’t pull any punches -- bare bulbs, white tiles, cash only, and no phone -- but with a roster of 18 hand-pulls all from independent breweries, a fridge full of meat, and a nice roaring fire, it really doesn’t matter. As far as traditional pubs go, this place ticks a lot of boxes: dog-friendly, epic Sunday roasts, a stone's throw from Hampstead Heath and not just one, but two fireplaces. Grab a pint and a pot pie, and settle in. Having bagged a Bib Gourmand award for 2015, you can expect they may know what they’re doing. 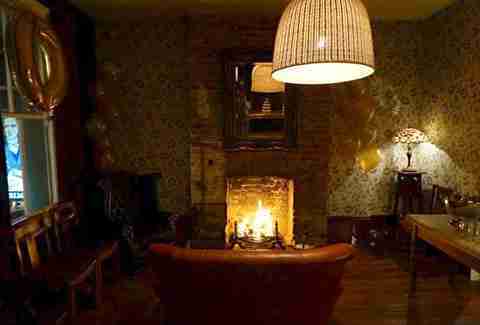 With a roaring fire and a great selection on tap, this place becomes coziness personified. This newish pub (1990s) in this very old building (1729, but dates to the 14th century! ), is the London outpost for St. Peter's Brewery. With all-British ingredients for their beers, great food, and a fireplace to help keep winter at bay, this is a must if you’re in the area. If you’re after something a little different, then here’s your spot. The decor is filled with oddities like a fiberglass rhino head, a jukebox playing 45s, a wall covered in playing cards, vintage typewriters, plus some big comfy chairs and a coal fire spewing out heat.